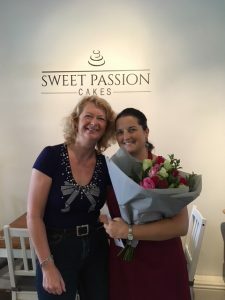 Jane Armitage, on behalf of the WBBA, presented Jo at Sweet Passion Cakes a bouquet of flowers to thank Jo for everything she does for the WBBA. The association often meet at Sweet Passion Cakes where Jo kindly provides refreshments. Next time the WBBA meet at Sweet Passion Cakes, why not come along and see what the association can do for your business.